If you are reading this post, chances are that you know that things can go wrong and thus logging can be very useful when a solution is in production to monitor or troubleshoot it. But, not all logs are equal. While you can have enough information available, unstructured logging can be hard to read, troubleshoot or analyse. On the other hand, well-defined structured logging should allow you to search, filter and analyse your logs for better monitoring and troubleshooting. When Azure Functions run in the background, logging is even more important. Additionally, as Azure functions are meant to be single-purpose nano-services, in many scenarios, your payload would be processed by multiple functions. Therefore, a well-defined, consistent structured logging can be crucial to be able to troubleshoot a serverless-based solution spanning across multiple functions. In this post, I’ll show how to implement correlated structured logging on Azure Functions across multiple functions with Service Bus messages using ILogger and Application Insights. To build this demo, I’ll use a scenario from Farm-To-Table, a company that delivers by drones fresh produce directly from the farm to your table. They are implementing the Pub-Sub pattern to process orders. Orders are published via an http endpoint (publisher interface), then put into a topic, and finally processed by subscriber interfaces. Additionally, there are some business rules applied on the subscriber interfaces, which can have an impact on the processing. Farm-To-Table want to make sure an appropriate logging is in place, so whenever there is an issue with an order, they can troubleshoot it. They know that Application Insights is the way to go for serverless logging. Before we start building the solution, it’s important that you understand how Azure Functions Logging with Application Insights works. I would recommend you to read the official documentation, and will only highlight some key points below. You can configure Logging Level depending on the needs. Logging is asynchronous is aggregated, so you might loose some log events. You need to configure sampling according to your needs so you don’t lose important log events, but also don’t impact your app performance. Structured logging on Azure Function requires ILogger. Application Insights has a retention policy and logged data is not encrypted at rest. As mentioned above, structured logging should ease querying and analysing logs. In order to provide these benefits, there are some practices described below that you might want to consider when implemented structured logging. Use Event Ids: Associate a unique Id to a specific log event, so you can filter or analyse the occurrence of a particular event. Event Ids can also be used to create alerts. To make it more useful, keep a dictionary of your event ids, ideally in your code, but also accessible to the Ops team, e.g. in a wiki. Standardise your logging templates. Structured logging requires a structure template. Define the templates you can use for different events. Try to keep your structured logging as consistent as possible. Use a Correlation Id so different events across different components can be correlated. Log a Status for relevant events so you can filter or analyse events based on a status. Define the list (enumeration) of allowed values for your logging properties when it makes sense for consistent logging. Log the Message or Entity Type. When you are processing different message or entity types, you want to be able to filter by type. Log the relevant business information. Consider logging the minimum business information to be able to correlate log events to your business process. For instance, include the business entity id. Do not log sensitive data, that you don’t want operators to see. Don’t log data that requires to be encrypted at rest when your logging platform does not support it. Consider implementing logging checkpoints. When messages are processed in different steps, having defined logging checkpoints might help you to better correlate and troubleshoot events. You don’t need to implement all these practices. Find the sweet spot so you provide the best value to the Ops team. One Http triggered Azure Function (SubmitOrder) that receives and validates the Order and then sends it to a Service Bus Queue. A Service Bus Queue used for temporal decoupling between the two functions. In a real scenario I would have used a Service Bus Topic with subscriptions to properly implement the Pub-Sub pattern, but let’s use a Queue for illustration purposes. 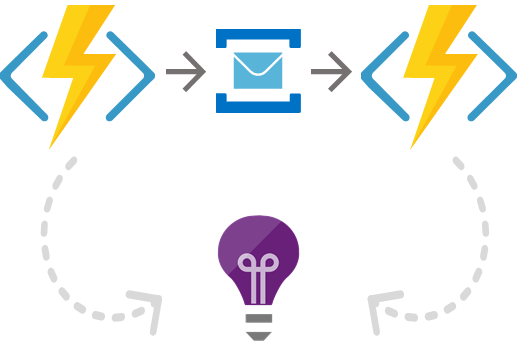 A Service Bus Message triggered Azure Function (ProcessOrder) that processes the Order. Application Insights to collect all Logs and Telemetry from the Azure Functions. Based on the practices I mentioned above, I’ve created a LoggingConstants class that contains my template and enumerations for consistent structured logging. The SubmitOrder function is triggered by an Http post and drops a message into a Service Bus message queue. Checks whether an order is valid and logs an event accordingly. The ProcessOrder function is triggered by a message on a Service Bus Queue. Simulates the Order processing and logs events accordingly. Once the Azure Function is running and has started logging, you can use Analytics in Application Insights for querying your structured logs using the Azure Log Analytics Query Language (a.k.a. Kusto). Below I show some sample queries for the structure logging in the code above. I added some comments to the queries for clarification. This query returns all tracking events of our structured logging. Returns correlated traces using the check points. 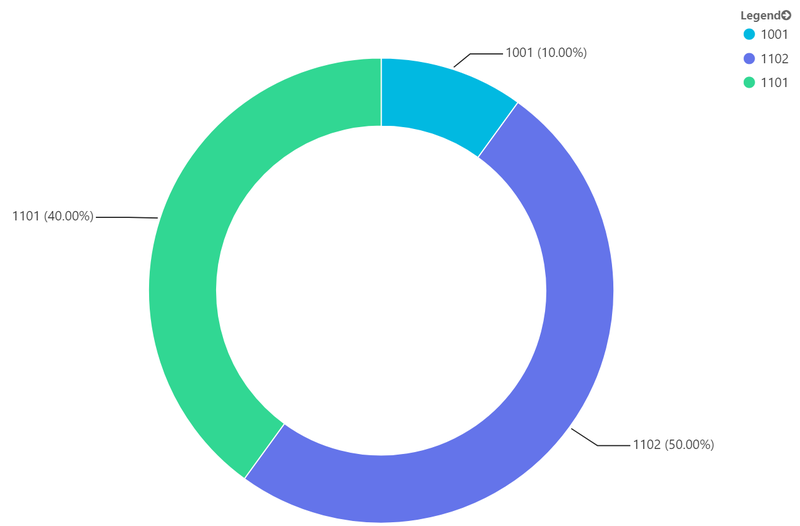 You can save and publish your Application Insights custom queries for yourself or to share so other users can easily access them. You can also include them in your custom Azure Dashboard. In a previous post I showed how to do it for Logic Apps, but you can so the same for your Azure Functions logging with Application Insights queries. Cross-posted on Deloitte Platform Engineering blog.